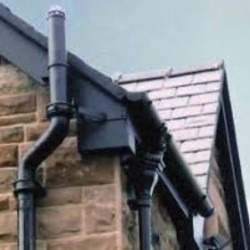 115mm is a very popular profile in Half Round Cast Iron, both painted and primed, as it was once the most common size of gutter fitted to houses in the UK. 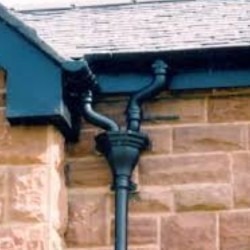 Still today, this is the standard size for most PVC Half Round Gutter systems. This pre-painted black option, which is the most popular choice of colour, has a gloss finish achieved through the factory application of a four stage paint process. 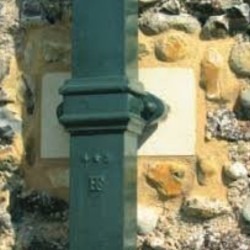 Downpipes are listed seperately due to the large choice that is available, please click here for all the details of our cast iron downpipes.